Here you will find the most frequently asked questions about beetles and beetle larvae. Are beetles suitable as pets for children? Yes, there are some species that are terrific as pets for children. These species are for example the Sun Beetle and the Giant African Fruit Beetle. They are easy to care for and have beautiful colors. Keep in mind that children can never pet their beetles and it is not advised to take them out of their terrarium often. The beetle larvae cannot be seen, cannot be played with and can actually bite. Most beetle species cannot bite, but some species that live off plants or carcasses have powerfull jaws that can bite you. Some species have males with enormous mouthparts that are used in battle. These mouthparts or antlers can also be used against humans and this will hurt, but cannot seriously harm you. Beetle grubs have powerful jaws that can bite you once the grubs are big enough. This will hurt but is not harmful. Can I keep beetles that I found in nature as pets? Yes, you can as long as they are not protected species. It can be difficult too keep and raise beetles that you find in nature, because often it is not clear how they should be kept regarding food, temperature and humidity. It is easier to keep a tropical species that has been kept as a pet for many generations. In some countries or U.S. states it is illegal to keep any foreign species of animal or even foreign plants. This is to protect wildlife in the area against new predators, diseases and competition. Please make sure you check the law of your country or state before keeping any type of tropical or foreign creature. How old can a beetle become? 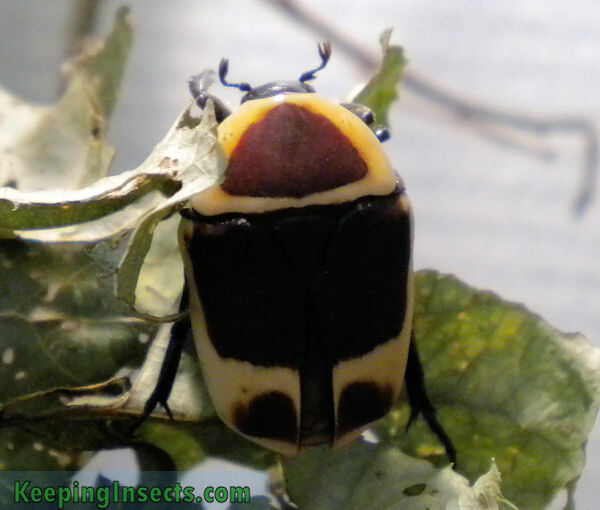 Beetles can become a few weeks to about three years old. This depends on the species. Small species generally live a lot shorter than large species.